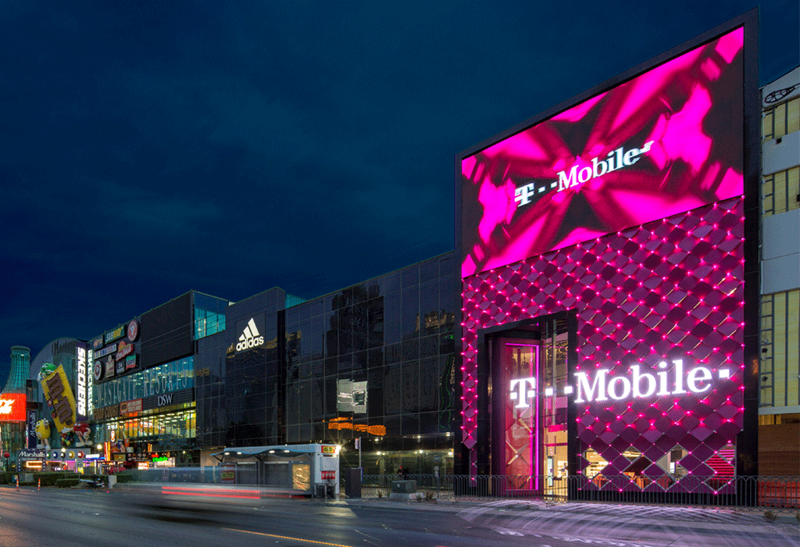 The T-Mobile Signature Store located on The Las Vegas Strip was the fifth store of-it’s-kind. This 10,300 square-foot, two-story space offers a full brand experience for customers. The storefront consists of a massive pattern of illuminated, magenta-colored-glass topped with a large LED billboard. The tall, decorative door invites customers inside to enjoy sound-enhanced audio lounges, concierge services, a juice bar, photo booth and larger-than-life digital displays. The store also features a custom, steel staircase with glass landings lit with thousands of programmable LED lights.